So far, Microsoft has not been able to bake the functionality inside the Windows Phone platform. Not even Apple has added it in iOS, or Google in Android. 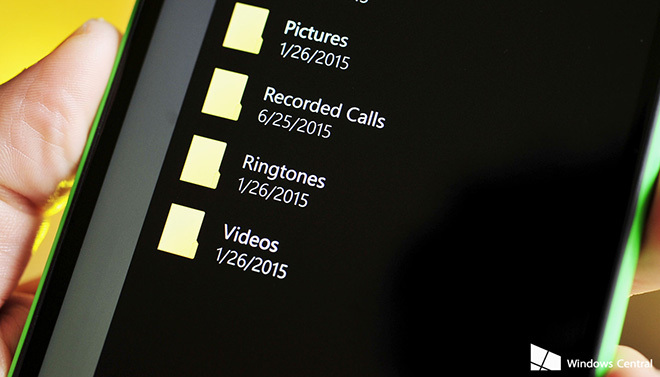 In the latest build, a new folder named Recorded Calls was found using the Files file management app. It was listed alongside the Documents, Downloads, Pictures and other folders. Apparently, Microsoft may be testing out the Call Recording feature using the Voice Recorder app packaged in the update. It is important to note that a number of countries and regions have their own laws and regulations when it comes to call recording. In an ideal scenario, it shouldn’t happen without consent of the opposite party. Microsoft plans to release Windows 10 on July 29. However, there is no word on the arrival for Windows 10 Mobile.